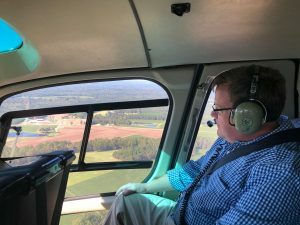 Raleigh, N.C. – North Carolina House Speaker Tim Moore (R-Cleveland) continued conducting assessments of Florence’s devastation with state legislators and local officials across North Carolina on Tuesday and Wednesday. 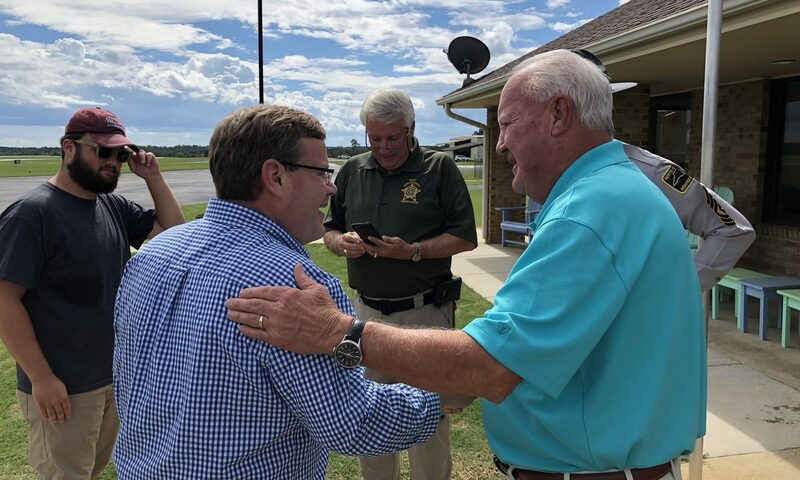 Speaker Moore toured Harnett County with Rep. John Sauls (R-Lee) and local Sheriff Wayne Coats on Tuesday afternoon following an aerial agriculture assessment over southeastern North Carolina with Rep. Jimmy Dixon (R-Duplin) and state Agriculture Commissioner Steve Troxler. 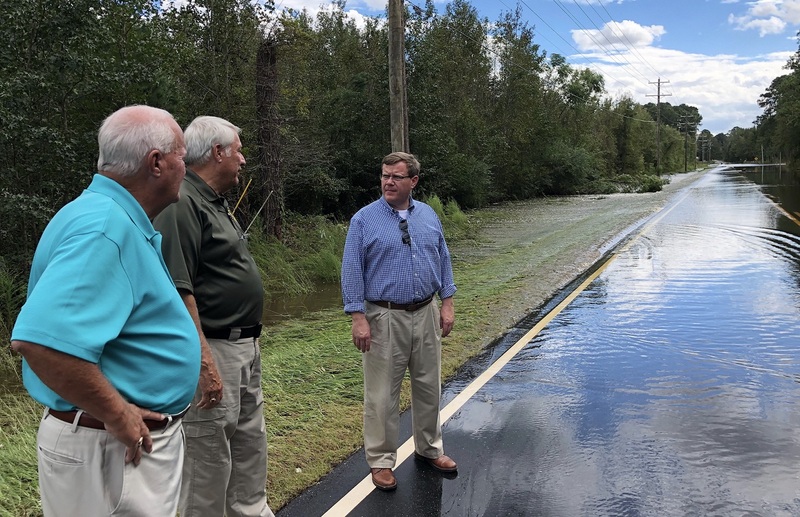 The legislators and staff received a briefing from Sheriff Coats as they assessed the King Charles area of the county and U.S. 401 south of Lillington, which remained under multiple feet of flowing water headed towards the Cape Fear River. The group also visited N.C. 27 west of Lillington. “Our resilient county Emergency Operations Centers are providing a world class response to the damage caused by Florence,” said Rep. John Sauls (R-Lee). “I want to thank the many first responders and volunteers who have worked around the clock to keep us safe,” Lewis said. 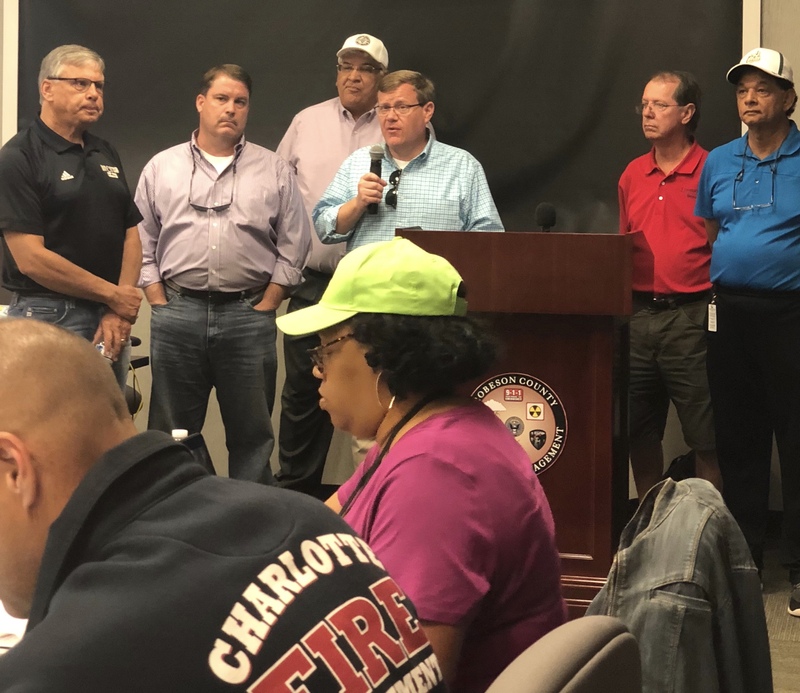 On Wednesday, Speaker Moore traveled to Robeson County’s Emergency Operations Center and updated press on recovery efforts with Rep. Brenden Jones (R-Columbus), Rep. Charles Graham (D-Robeson), and Senator Danny Britt (R-Columbus). 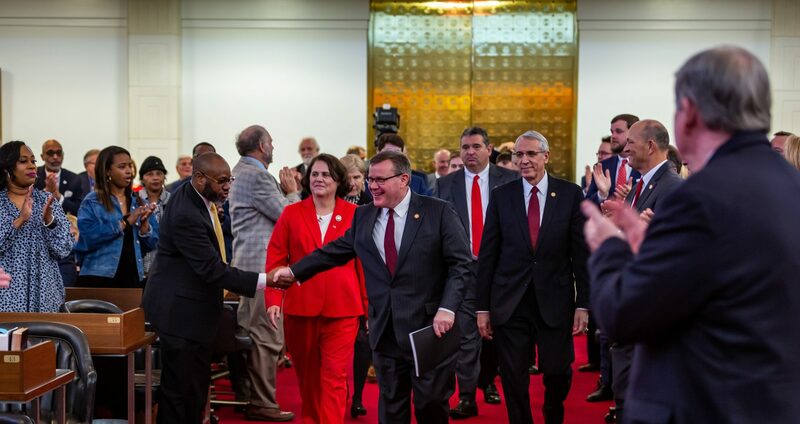 “What I can tell you is the General Assembly is looking at coming back in to special session,” Moore said at the press conference. State legislators were joined by Chancellor Robin Cummings of the University of North Carolina at Pembroke, Mayor Bruce Davis of Lumberton, and county board Chairman Raymond Cummings at the Robeson County Emergency Operations Center. Speaker Moore again stated his support for waiving school calendar requirements given all the missed class time for students in the region. 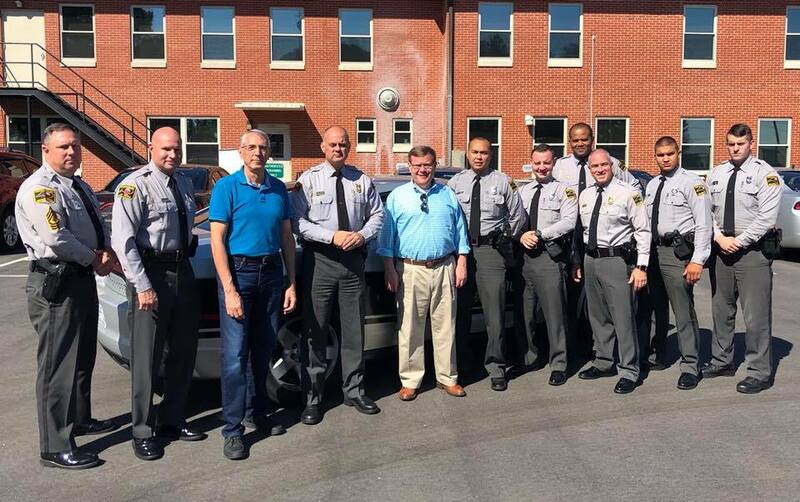 Speaker Moore next traveled to Fayetteville, N.C. on Wednesday with local state House Rep. John Szoka (R-Cumberland) to receive an update from the State Highway Patrol at Troop B headquarters on their deployments in Florence’s aftermath. 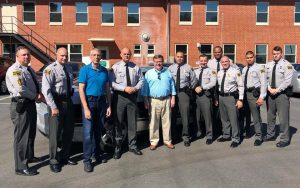 Rep. Szoka said the visit was also “to thank the State Highway Patrol for their service” and he joined troopers later in the day to check on I-95 bridges over the Cape Fear River and the Highway 87 interchange. 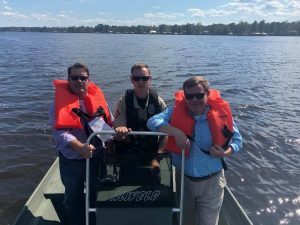 Speaker Moore joined Rep. Jones and wildlife officials by boat later on Wednesday for damage assessments on Lake Waccamaw in Columbus County, which was pushed to a record flood by Hurricane Florence. 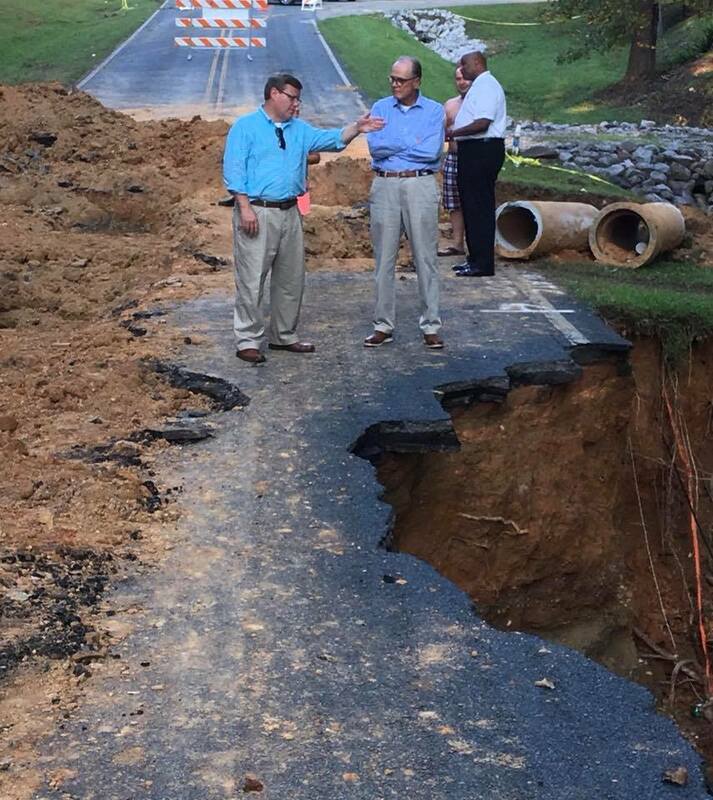 Rep. Ken Goodman (D-Richmond) then hosted Speaker Moore to tour some of the worst road damage in his county from Hurricane Florence, including roadways that completely collapsed from catastrophic floods. 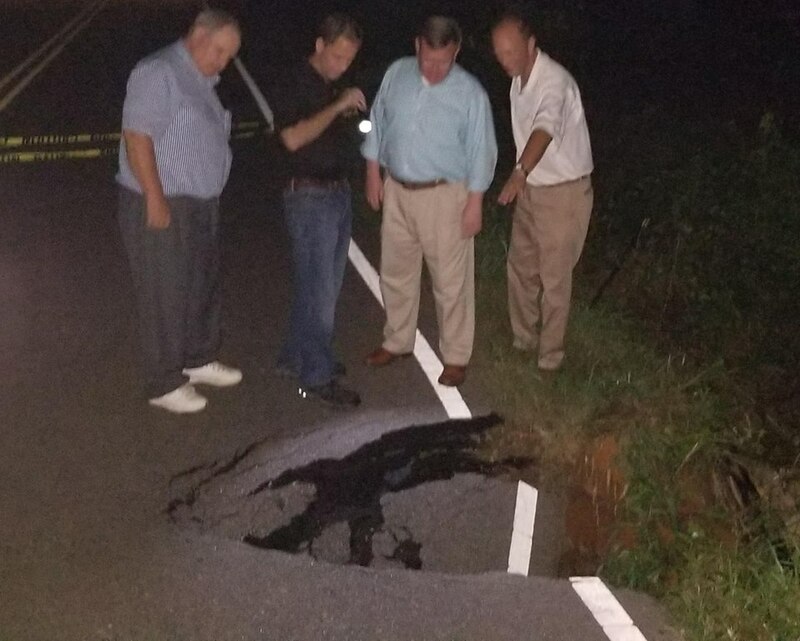 Speaker Moore then drove to Union and Anson counties to meet Reps. Dean Arp (R-Union) and Mark Brody (R-Union), as well as Mayor Michael Alvarez of Indian Trail, N.C. for damage assessments of roadways still closed in the region southeast of Charlotte. 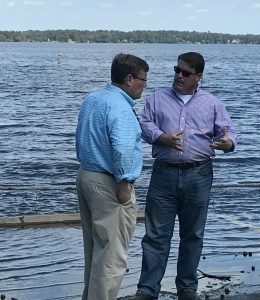 “Thank you to all the fire, police, and first responders keeping us safe, linemen for getting our power back on, and everyone working at DOT for getting our roads back in service,” Rep. Arp said following the assessments Wednesday. 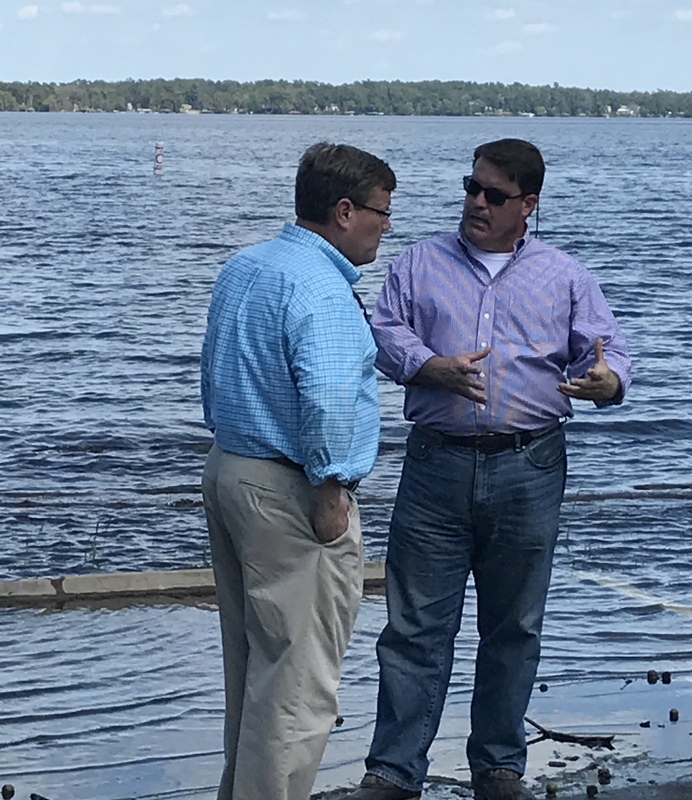 “We had a dam burst, roads collapse, a train derail and tragic deaths – our region is devastated by this storm both physically and emotionally,” Brody said. Speaker Moore also joined House Majority Leader John Bell (R-Wayne) and Rep. Michael Speciale (R-Craven), as well as Governor Roy Cooper and FEMA administrator Albie Lewis, to assist volunteers and conduct damage assessments in New Bern, N.C. on Monday. 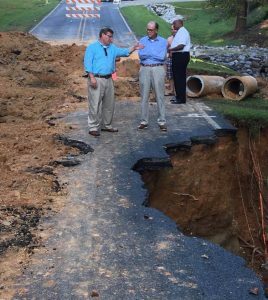 “There is immense devastation across North Carolina and it is critical that we continue to assist victims of this storm with all available resources,” Moore said. 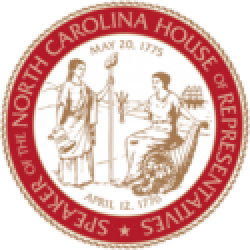 Speaker Moore’s office posted daily details of legislator briefings with state officials regarding Hurricane Florence on SpeakerMoore.com.